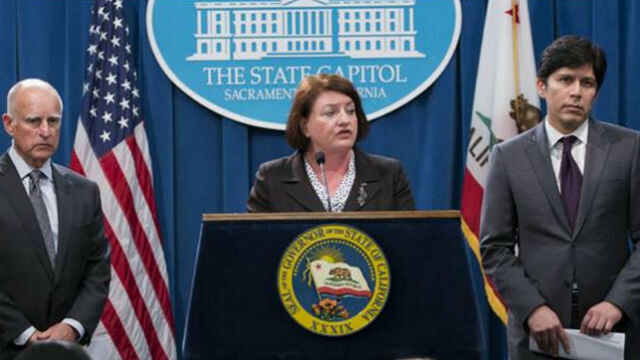 Toni Atkins of San Diego will step down as Assembly speaker on March 7, and likely will be succeeded by Assemblyman Anthony Rendon, D-Paramount, their offices announced Friday. They said the Assembly will conduct a vote on the new speaker Jan. 11, one week after the new legislative session begins. Rendon was selected by the Democratic caucus in September, but his appointment needs a vote of the full chamber. Atkins, a former member of the San Diego City Council, was elected speaker in March 2014 and assumed the position two months later. She will be termed out next year, and will run against Sen. Marty Block, D-San Diego, for his Senate seat.